Product information "Weighing controller CSW"
The weighing terminal CSW is ideal for simple and complex filling and dispensing applications. E.g. 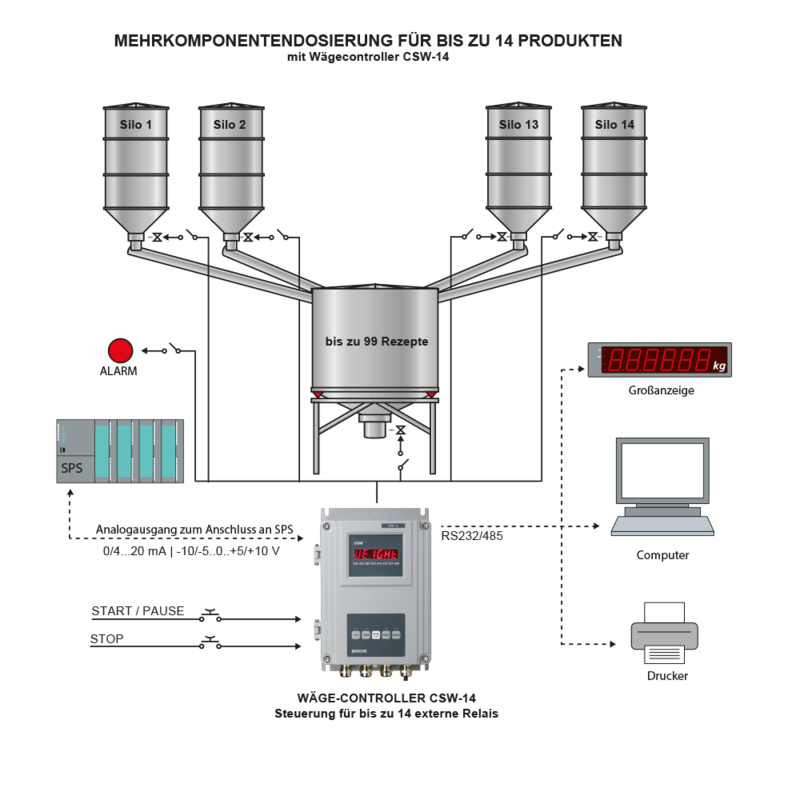 For silo weighing, container weighing or dispensed amount weighing. High measuring rate of the transmitter of up to 300 measurements / sec. 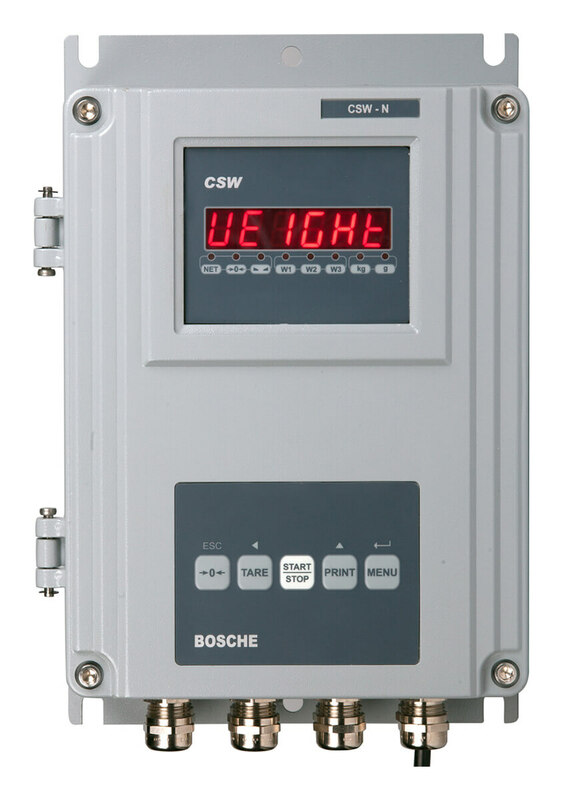 The CSW is a high-precision weighing terminal. It provides reliable weight values quickly and accurately. The weighing terminal has analogue and digital outputs, which provide stable measurement information. 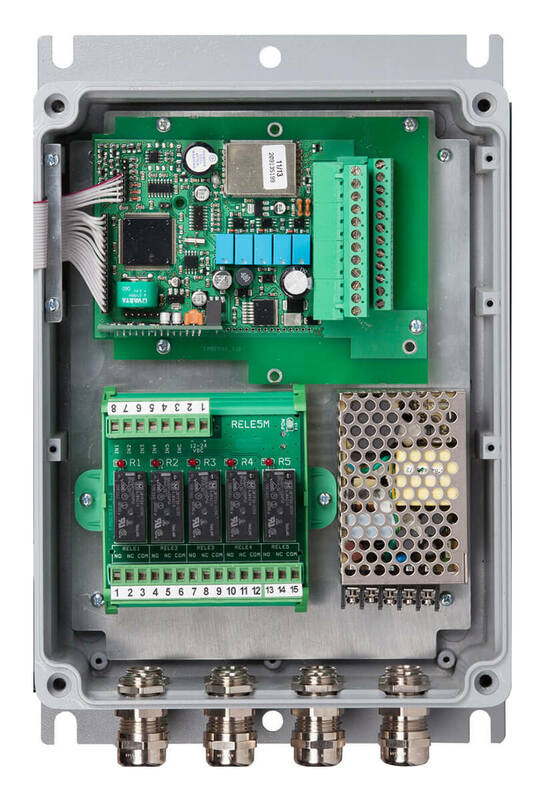 Programmable relay outputs and two digital logic inputs are also provided as standard. The analogue output delivers an analogue signal in proportion to the weight, which can be processed by a PLC or a PC. 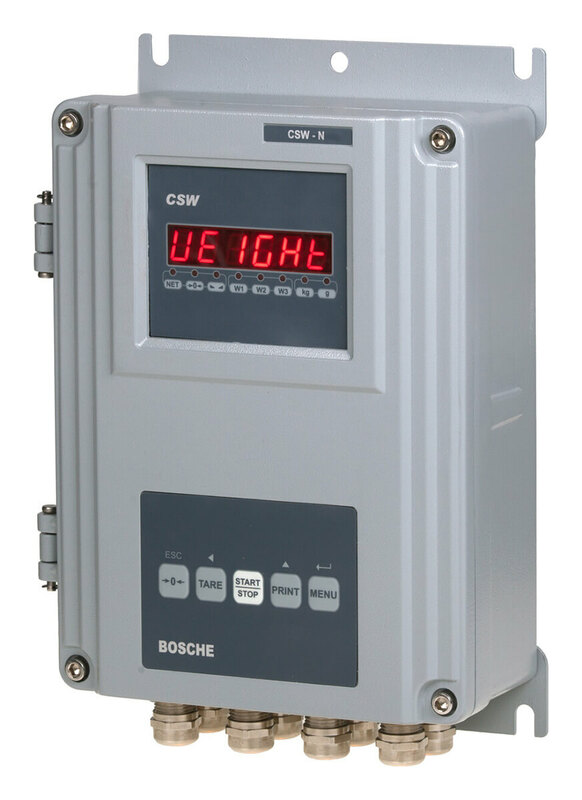 The CSW enables valves and filling devices to be controlled directly - also without costly PLCs. Swift filling: 300 updates / sec. Filling and dispensing processes are based on speed. The high A/D conversion of 300 values per second enables the accurate and fast determination of weight data. Rapid updating is in line with the process speed. The indicator is ideal for dispensing and stirring processes. The CSW weighing terminal has a 6-digit weight and service indicator. Thanks to the easy-to-read, bright LED display, the weight value can be checked directly in-situ. The five operating keys enable easy operation. 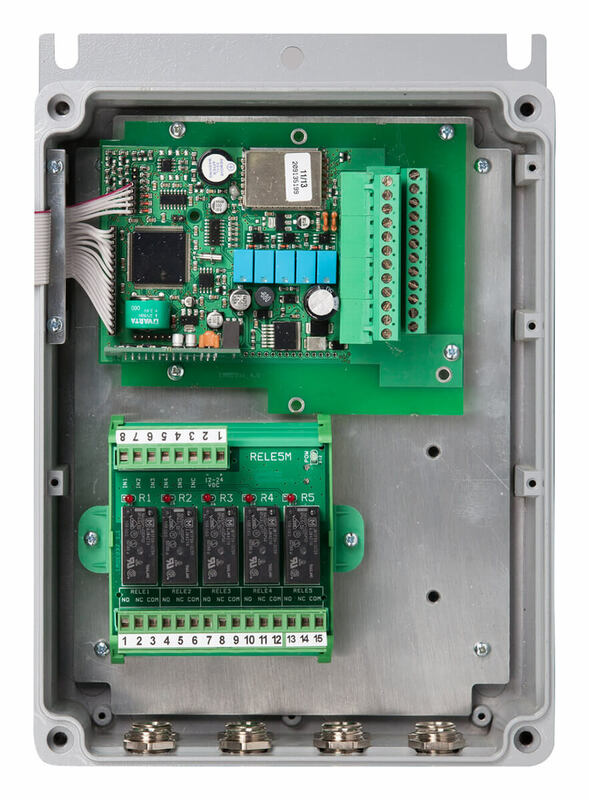 The weighing controller is housed in a robust, durable aluminium die-cast housing with protection class IP 64. 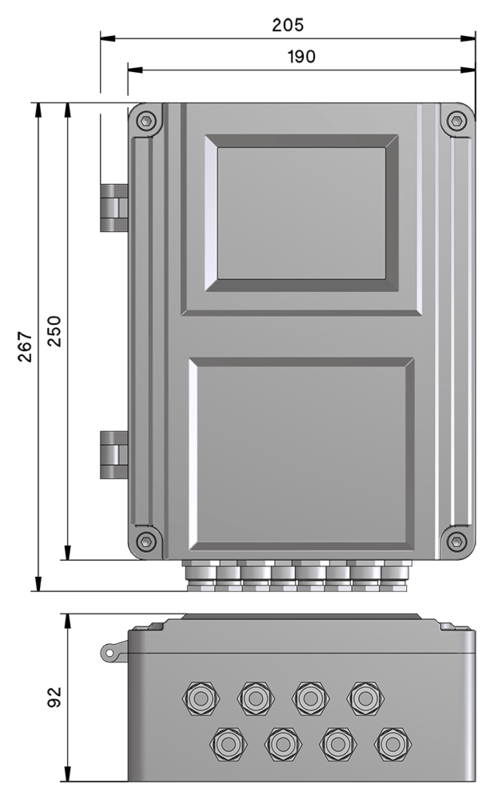 Both 4 and 6-wire technology load cells can be connected. Communication is via an RS-485 interface (up to 32 can be connected in the bus). The second serial interface RS-232 is also standard. The variety of available interfaces enables the easy and safe integration of weighing systems into any automation system. Related links to "Weighing controller CSW"